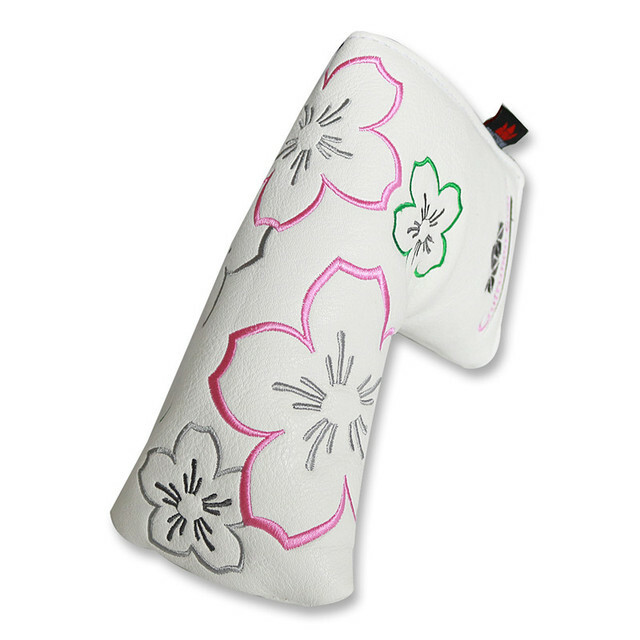 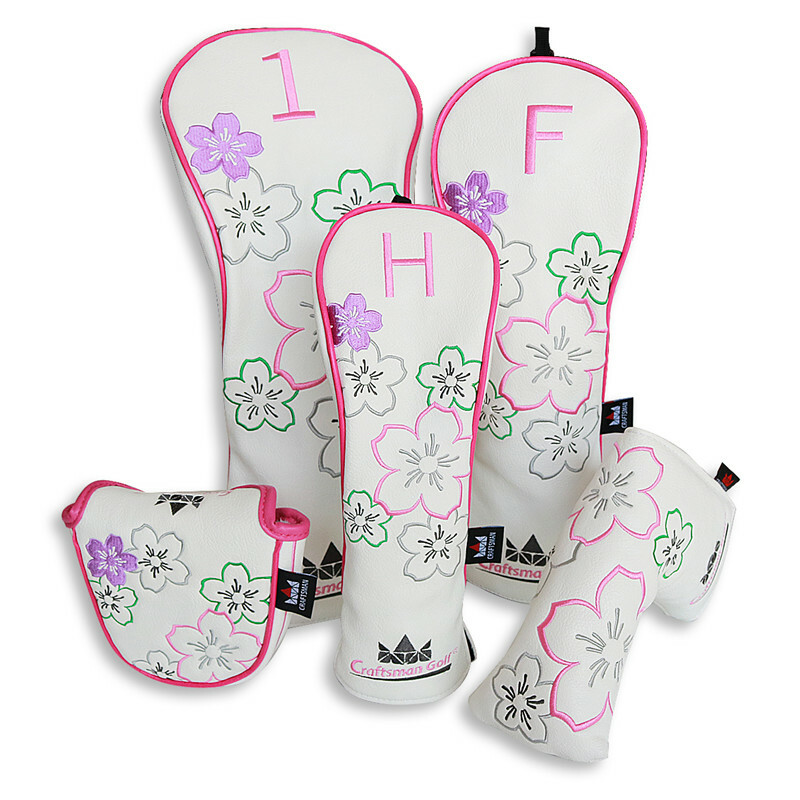 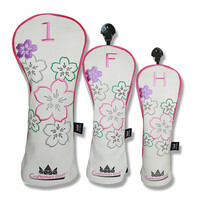 Craftsman Cherry Blossom Golf Headcovers with intricate cherry blossoms embroidered on the Dura-Leather material. Pink piping adds to the unique design of these headcovers. 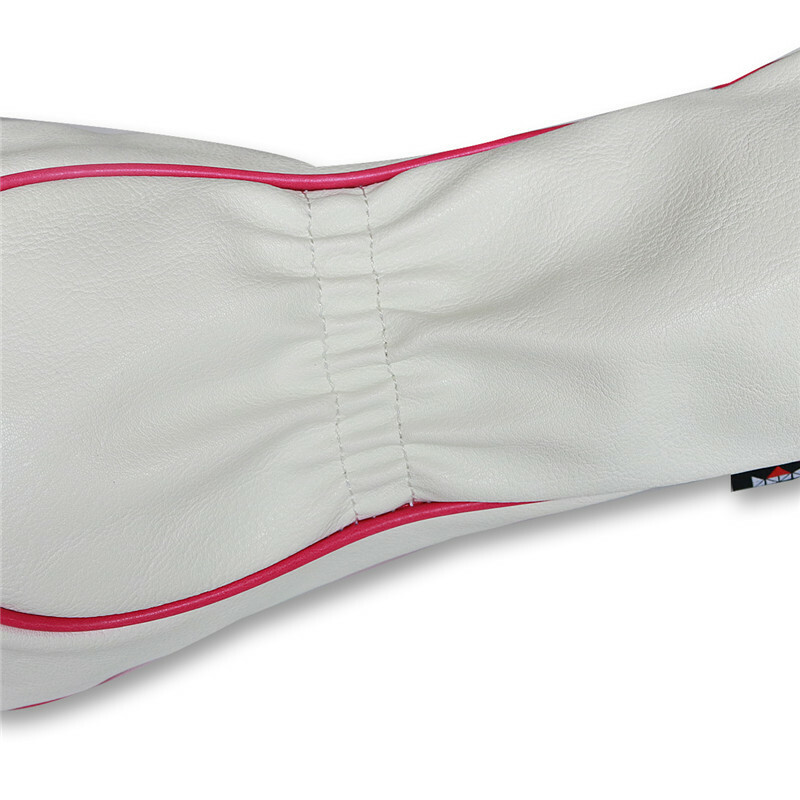 Soft lining and elastic waistband keeps your clubs secure and safe from nicks and scratches. 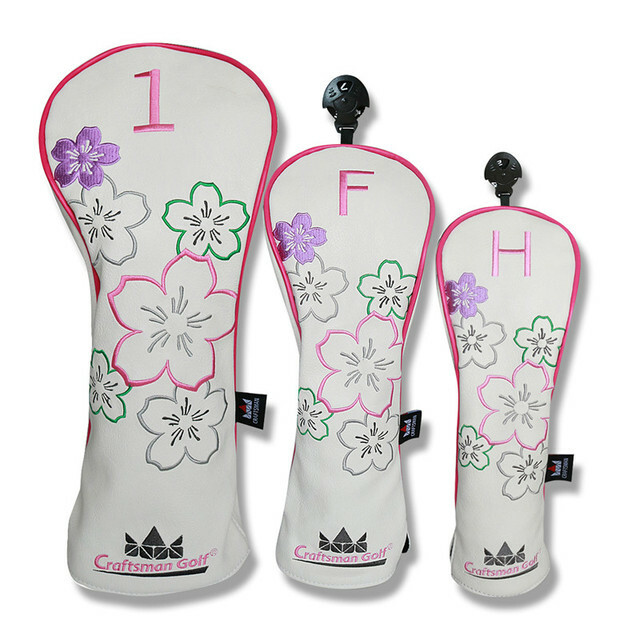 Driver fits clubheads up to 460cc. 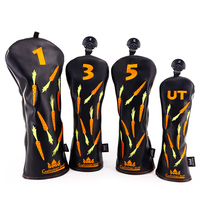 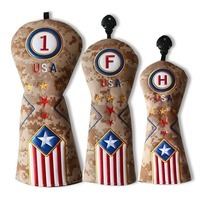 Fairway and Hybrid headcovers come with an adjustable number tag for easy identification. 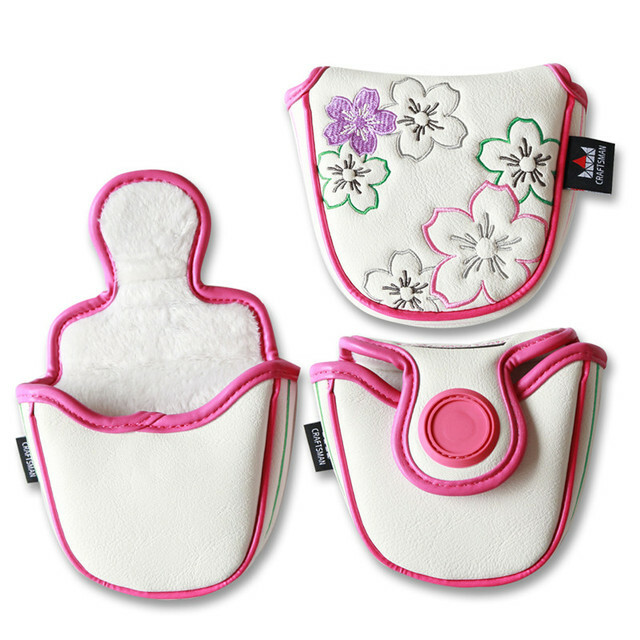 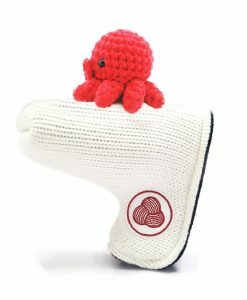 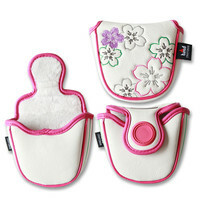 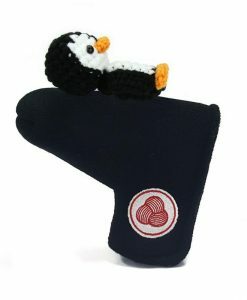 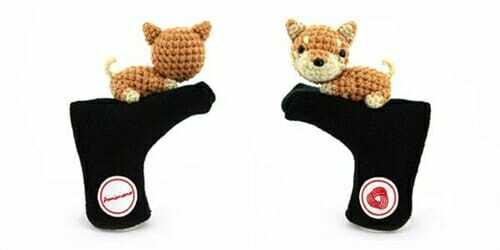 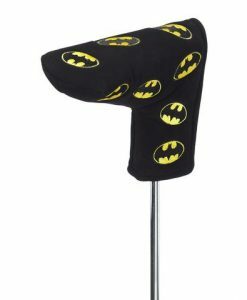 Mallet putter cover fits standard size mallet putters and the blade putter cover fits putters like the Ping Anser. 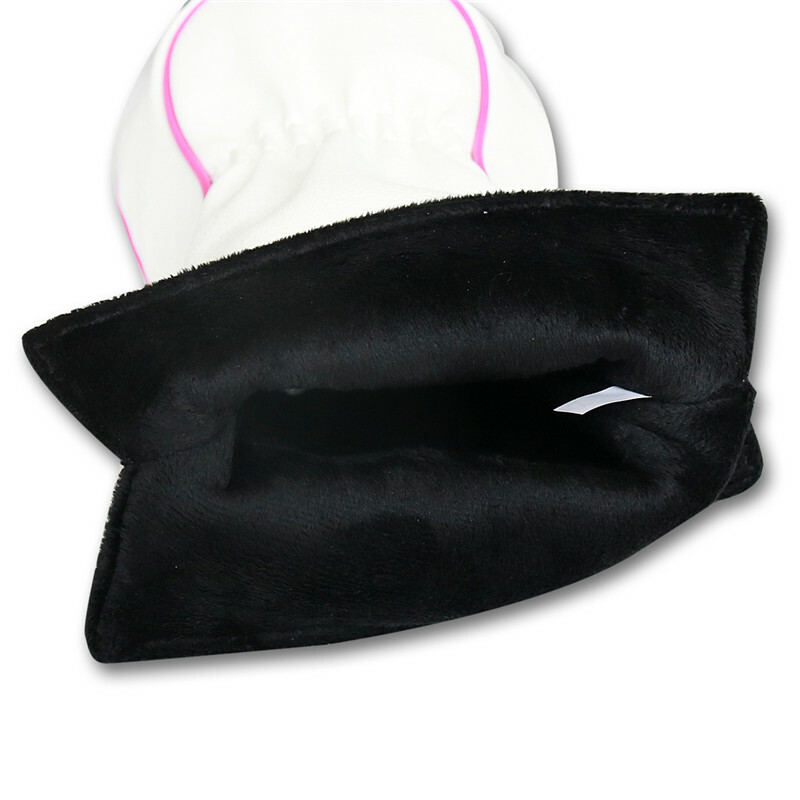 Both have magnetic closures.